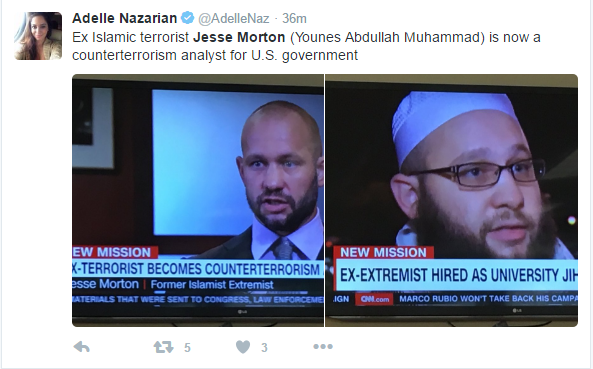 Jesse Morton, a 37 year-old man who was once a recruiter for al-Qaeda, has been hired by George Washington University’s Center for Cyber and Homeland Security, CNN reported. Morton used to be known as Younus Abdullah Muhammad when he worked as a recruiter for the terrorist organization, inspiring Americans to commit acts of violence. Reformed extremists have been known to work for other universities in other countries, but this appears to be a first for the United States. While working with the terrorist group, Morton owned a website called “Revolution Muslim” that identified and recruited new members. He used the website to instruct individuals how to take part in acts of violence against the U.S. He ran it out of his apartment in Flatbush, Brooklyn. Seamus Hughes, deputy director of the Program on Extremism at GWU said that they weren’t able to reach people that were becoming radicalized, but Morton could be helpful in that aspect. When Morton was 16 years old he ran away from home after suffering abuse from his mother. He sold drugs and later was arrested and taken to prison in Richmond, Virginia where he befriended a Moroccan Muslim and became a radicalized Muslim. He graduated as valedictorian from Metropolitan College of New York in 2006 and then later got his masters degree in international studies at Columbia University. Nadia Oweidat, a fellow at the think tank New America told CNN that she believes that Morton wants to help the United States prevent future terrorist attacks and that he didn’t do it so that he could get a lighter prison sentence. VA Shrugs Off Subpoena Deadline Over Art Spending-- Says Expect Answers In "Coming Weeks"